Take advantage of the villa's 24-hour room service. A complimentary breakfast is included. Featured amenities include a 24-hour front desk, luggage storage, and a safe deposit box at the front desk. Guests may use a roundtrip airport shuttle for a surcharge, and free self parking is available onsite. 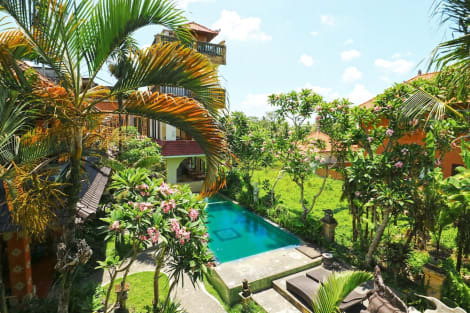 With a stay at The Unique Homestay in Ubud (Ubud City-Centre), you'll be within a 5-minute walk of Ubud Royal Palace and Ubud Traditional Art Market. 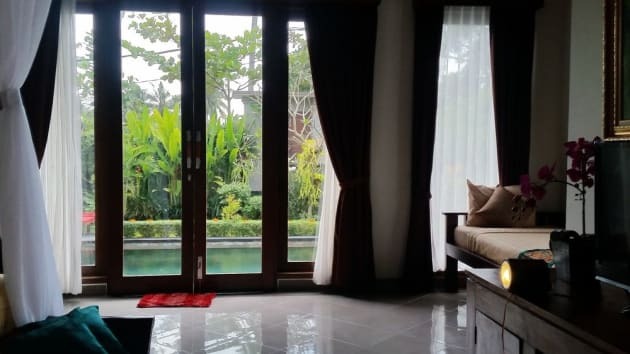 This guesthouse is 0.7 mi (1.1 km) from Campuhan Ridge Walk and 2.5 mi (4.1 km) from Ubud Monkey Forest. 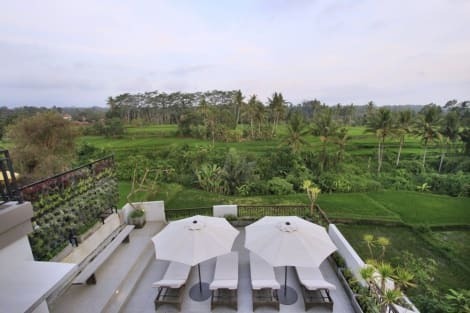 Located in Ubud (Ubud City-Centre), Pertiwi Bisma 1 is within a 10-minute drive of Campuhan Ridge Walk and Ubud Royal Palace. 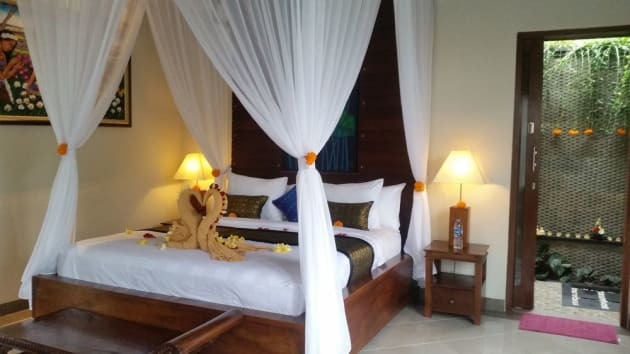 This resort is 0.7 mi (1.1 km) from Ubud Monkey Forest and 0.9 mi (1.5 km) from Ubud Traditional Art Market.